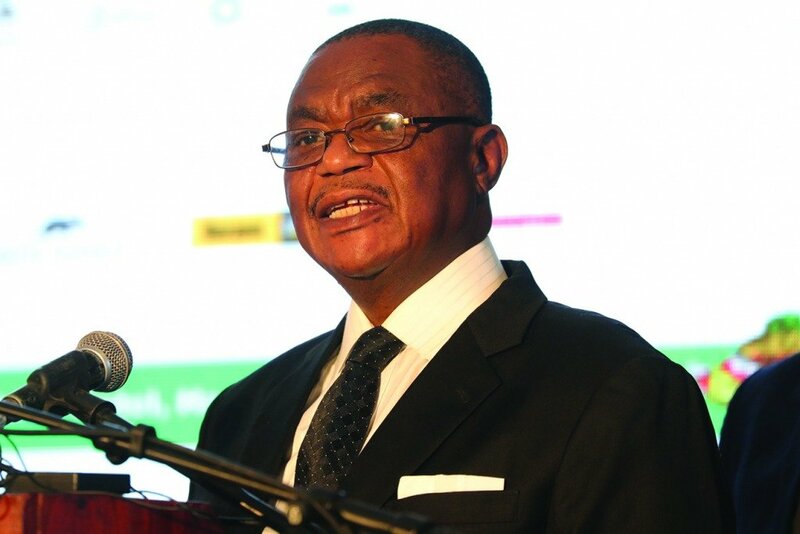 VICE-PRESIDENT Constantino Chiwenga, who doubles as Defence and War Veterans Affairs minister, last week extended soldiers’ retirement age from 65 to 70 years and classified them as “specialist military personnel” as the country glides towards a military State. Chiwenga announced the changes in a Government Gazette, but analysts said the move was part of Zanu PF’s grand strategy to increase its stranglehold on power by retaining the war veteran element in the army and other key government departments. “It is hereby notified that the Minister of Defence and War Veterans Affairs in terms of Section 113 (2)(a) of the Defence Act Chapter 11:02 and after consultation with the Defence Forces Services Commission has made the following regulations: The regulations maybe cited as the (Defence Forces Regular Force) Specialist Members Amendment Regulations 2018 (No2). “Section 2 of the Defence (Regular Force) (Specialist Members) Regulations, 1979 published in Rhodesia Government Notice 92 of 1979 (hereinafter called the principal regulations is amended by the deletion of the definition of specialist member and the substitution of ‘specialist member’ means a member of the Defence Force who holds a professional or other qualification the commander may deem to be necessary,” the notice read. Under the new regulations, soldiers can now continue to serve in the force for up to 70 years at the whim of the President. “The principal regulations are amended by the insertion of a new section after section 4 as follows — a member who is a specialist and has continued to serve shall retire on attaining the age of 60 years. Provided that if the President considers, that it is desirable in the public interest he or she may allow that the member who is a specialist continue to serve for another five years until he or she attains the age of 70 years,” the notice added. This came as British Labour parliamentarian Kate Hoey singled out Chiwenga as the brains behind last week’s fatal shooting of seven suspected MDC Alliance protestors in Harare. In a no-holds-barred tweet, Hoey called on the British government, European Union and United States not to soften their hard-line stance on Harare until President Emmerson Mnangagwa has fired his deputy and loosens his grip on the military. “There should be no change to EU, UK or American government policies to Zimbabwe government until at the very minimum Chiwenga is removed from his Vice-Presidency and his control of the military,” she said. The shooting incident has received global condemnation, with some European diplomats in Harare calling on the government to rein in soldiers. Political analyst Eldred Masunungure said the extension of soldiers’ retirement age was a strategic attempt to retain the war veteran element in the army whose members might be approaching retirement age. “This is an attempt to retain for as long as possible the war veteran element in the army. Vice-President Chiwenga and other war veterans have no confidence in non-war veterans and they regard the war veterans as having a high-level of security consciousness. They are said to have liberation war values and are able to sacrifice their lives to retain those liberation war values,” Masunungure said. Another political analyst Sithembile Mpofu said in a transitional time for the military, Zanu PF as well as the country, it was important to have trusted cadres with the necessary experience, who are also able to maintain political stability. “At the moment, this is a transitional time for the military, Zanu PF and the country. They intend to try and keep things as stable as possible by ensuring that trusted cadres are in position,” she said. Chiwenga was elevated to the position of VP in the aftermath of former President Robert Mugabe’s ouster following a military intervention last November. Mugabe was forced out after the military, then under Chiwenga’s command, stormed key State institutions, placed the then Zanu PF leader under house arrest before he threw in the towel, paving the way for Mnangagwa to take over as other senior military figures took over control of various ministries and government departments. Chiwenga early this year shocked the country after he unilaterally fired all striking nurses at public hospitals who had downed tools demanding a salary review. Germany ambassador to Zimbabwe Thorsten Hutter on Monday told Foreign Affairs minister Sibusiso Moyo that his country was concerned over the use of lethal force during last Wednesday’s protests. “The events of the recent days may be seen as a setback to that reform process and Germany encourages the government to see to it that this will not be so. That will include from our perspective and I am sure others will share this view to see to it that there will be calm in the country, that there will be political dialogue between the parties so that the country returns to normalcy as soon as possible,” he said. In another setback, the EU and the US government issued a joint statement expressing concern over the clampdown on opposition members and the involvement of the army. “The heads of mission condemn the violent attacks and acts of intimidation targeted at opposition leaders and supporters. These human rights violations have no place in a democratic society and contravene the fundamental tenets of international human rights standards,” the statement read. The Australian government also joined in condemning Mnangagwa government’s use of brute force on protesters. “Australia notes the strong desire of the people of Zimbabwe to move their country forward, as seen by their enthusiastic and largely peaceful participation in the historic elections. In this context, it was all the more tragic to see violence and unruly behaviour and excessive use of force by security forces on August 1. Reports of further violence and human rights violations are also deeply concerning,” the Austrian government wrote. Who will defend the people from the ZANU ED Army – I mean like the 20 000 Gukuruhundi victims if the army does it all over again? The Jolly Poms and their giggling British High Commissioner?